Among the many groups which call the CEID home is Bulldog Bots, an organization with a focus on the design and construction of robots. Since starting off the year with workshops ranging from making nightlights to music cubes, the team has selected a number of projects to complete. Members recently began ordering parts for this year’s three robots: the SumoBot, the Micromouse, and an RC combat bot. The SumoBot and RC combat bot will fight in sumo wrestles and robot brawls at a competition in Illinois this April, and the Micromouse will navigate its way through a maze at the Brown IEEE competition in April. Bulldog Bots is small compared to other engineering organizations, which allows the team members to get plenty of hands on experience and understand all components of the project they are working on. 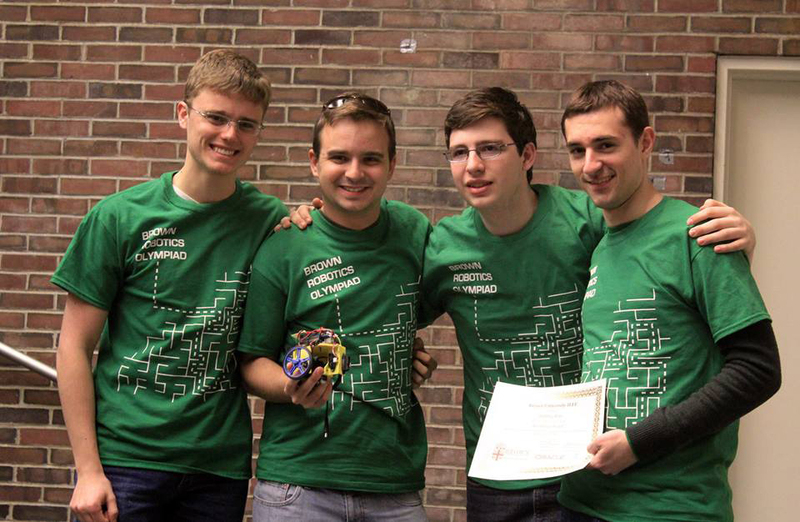 “Robotics is all about integration,” says Sam Samuelson (‘14). Founder Jack Rockaway (‘14) observed that “robotics is the overlap of mechanical and electrical engineering.” Bulldog Bots helps members apply this field and the design process to real life. Make sure to keep a look out in the CEID for this group as they construct their robots over the course of the year!